My kids and I love candy, baskets, eggs, and the Easter bunny as much as anyone else and we look forward to celebrating with all of that at our house each year. It's a lot of fun to wake up Easter morning with a basket full of bright, spring colored goodies, isn't it? However, as fun as that is it's not the only thing I want my kids to take away from Easter. I want them to know that there is much more to Easter than sugar and chocolate and more sugar, that the true meaning of Easter is far more important. 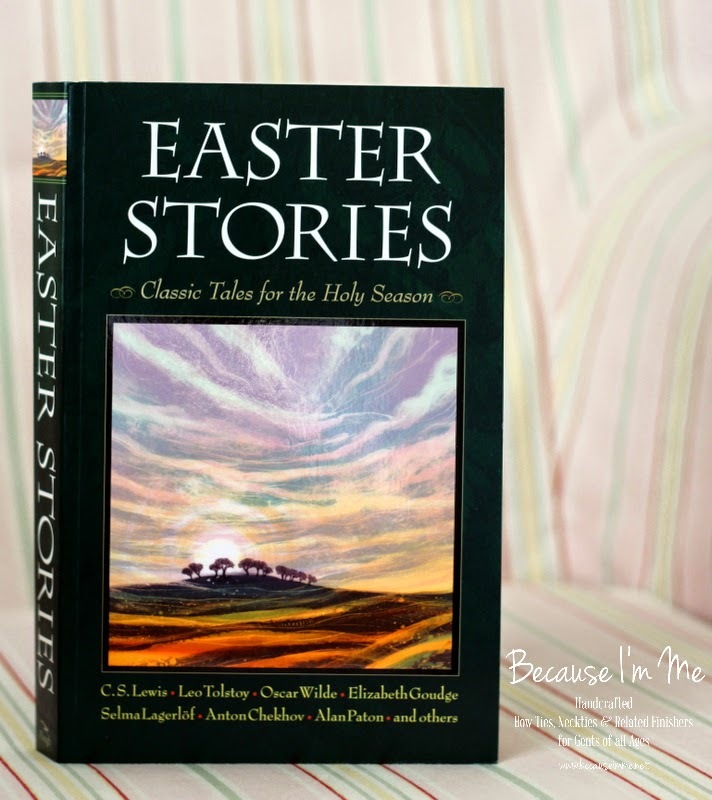 Easter Stories, Classic Tales of the Holy Season, helps to share the true meaning of Easter with read-aloud stories for the family. Not only are the stories Easter and Holy Week centered but they are also very well written, high quality, easy to read classics. The stories contain suspense and drama, perfect for capturing the attention of young listeners. The 374 page softcover book contains 27 stories from authors such as Oscar Wilde, Leo Tolstoy, and The Brothers Grimm. The book is illustrated with beautiful original woodcuts. River and I have really enjoyed these stories. We haven't yet read through all of them (reading out loud makes me yawn, what's up with that?) but have enjoyed the ones we have read, and I look forward to sharing more with him. More information about Easter Stories can be found here at Plough.com. 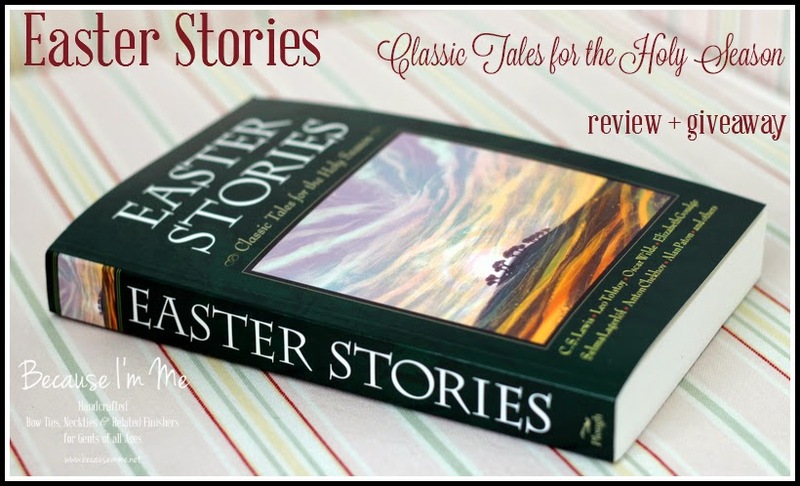 Easter Stories: Classic Tales for the Holy Season is available at Amazon. com for $13.34, regularly $18. The book can also be found at Barnes and Noble and Indie Bound. Enter below to win your own copy of Easter Stories. Good luck! Only one entrant per mailing address, per giveaway. If you have won a prize from our sponsor Propeller/Fly By Promotions in the last 30 days, you are not eligible to win. Or if you have won the same prize on another blog you are not eligible to win it again. Winner is subject to eligibility verification. Many thanks to Propeller Consulting, LLC for providing this prize for the giveaway. Choice of winners and opinions are 100% my own and are not influenced by compensation. I did receive a sample of the book in exchange for this review and post. We set up an Easter egg hunt around the yard for the kids. We cook our traditional food and decorate eggs! We love to decorate Easter eggs! We love going to Sunrise Service at Church. Afterwards our family goes out for breakfast, to celebrate He has Risen! Church and big family dinner.